-Choose to get your coffee or tea "for here." Thermoses bought new can be expensive, thermoses bought secondhand less so. But still, remembering your thermos - or having the time and money to purchase one in the first place - isn't always doable. Luckily there's an easy way around it: most coffee shops, even Starbucks, do still have ceramic mugs. I find that baristas tend to assume you'd like yours in a paper cup first, but are typically happy to reach down and pull out a ceramic one when asked. As a small bonus, this method also means you'll have to carve out a few moments to sit down and drink your beverage instead of rushing out the door. -Ask for no napkin or straw. Another simple question, another way to reduce your waste a tiny bit and shift perceptions about whether disposables are, in fact, absolutely necessary. Asked politely and with a smile, this ten-second shift is an easy one. When I remember to ask, I often end up in a conversation with a friendly server or barista who's in on the straw-less life, too. -Bring a fork and spoon from home. I'll cop to owning a set of reusable bamboo utensils that I try to remember to bring with me, but just as often I find it easier and lighter to wrap a metal fork from my kitchen drawer into a cloth napkin and tuck that roll in my purse. Utensils and a napkin all wrapped into one, nothing new needed. -Save chopsticks and bring them with you. Wooden chopsticks are lightweight utensils that are easy to keep at the ready, especially if you're loath to risk losing a metal fork from your kitchen. You can buy chopsticks, sure, or just save the disposable pair you're given next time you eat sushi. We bring ours with us (again just rolled up in a cloth napkin) when we're heading out to eat Japanese food, but you could easily leave them in your bag to use in lieu of a plastic fork, no matter the cuisine on offer. -Take home recycling and compost to dispose of at home. Ball up your paper napkin with an apple core inside, tuck spent tea leaves into a small jar brought from home, repurpose an old plastic snack container into a traveling compost bin. While I'd love to feel like I could rely on the restaurant to recycle and compost for me, in a city like Chicago where recycling is often unreliable and composting often non-existent, I feel more comfortable taking charge of my waste myself. What are your tips for reducing waste outside your home, without buying anything new? The grocery was the first place I started with zero waste. That was several years ago now, but what I do remember is that a set of produce bags was one of the very first purchases I made when I decided I was finally brave enough to start emulating the few folks I'd heard about who were working on paring down their waste. Four years later, and those same produce bags are still in rotation every week. (Albeit quite stained and a little worn, but hey). The grocery store is not, of course the place that you have to start, but I found that starting with changing up my grocery run was an angle that offered a good measure of instant gratification. And that can-do spirit I felt when I watched my kitchen trash shrink each week motivated me to make changes in other areas, too. Groceries are by volume and number the largest amount of new things I bring into my home each week, so it makes sense that slashing my packaging waste in that arena propelled me on to others. When liquid bulk goods like vinegar, olive oil, or tamari are on the list, I make sure to bring along a few glass jars. I like to use repurposed glass vinegar bottles when possible, since the plastic lids don't rust like metal Ball jar lids do, and the narrow neck means I don't waste any food when pouring. Luckily, as I've mentioned before, glass bottles like these are better hoarded from past uses than bought new, although you can certainly purchase something like a glass swing-top bottle to do the trick for these instead. (They're also worth scouring thrift stores for). If you're buying something super sticky like honey or molasses, a narrow-neck bottle might not work as well as a wider-mouth jar, where you can get a spoon in and clean that sucker out at it gets empty. Luckily, honey and molasses and the like are less likely to rust a metal lid than corrosive vinegar is, so you're probably in the clear with a standard Ball jar. Produce bags comprised my very first zero waste purchase, and I'd posit that they're a good one. Wrestling open clingy, squeaky plastic produce bags is not something I miss. I keep a big stack of cloth produce bags around because I use them for everything: produce, sure, and bulk dry goods, but also holding craft projects while traveling, as a makeshift lunch bag, to send extra food home with friends (a la this), and on and on. It's nice to have enough that I can make a grocery trip even some of my bags are in the laundry pile. Containers for bulk dry goods. These can be glass jars, plastic containers (like these very un-fancy ones), or even cloth bags like the ones you'd use in the produce section. To make my life easier, I try to grab my bulk dry goods like beans and nuts in glass jars when possible, so that I can put the glass jars directly into my pantry when I get home, rather then spending time decanting purchases into different containers. Looked at another way, though, carrying a big load of clanking, heavy, breakable jars to the grocery can be anything but convenient. Bringing some cloth produce bags or plastic containers in addition to your glass jars can mean a lighter load. Where possible, I choose to put items with larger pieces (beans, nuts) in produce bags, and items that will be harder to decant, like cocoa powder, spices, and tiny grains directly in the glass jars in which I'll plan to store them. Containers for bringing it all home. A.k.a. tote bags. Reusable tote bags are the only piece of zero waste gear that's been pretty much universally adopted, so you probably already have way too many. And thank goodness for it. Store them in the trunk of your car, piled on a hook in the coat closet so you see them each time you reach for your coat to head out the door, keep an extra folded up in each purse. The string bags pictured here, a gift from EcoBags, are a recent favorite version of mine, as they make me feel farmers' market-y, even in the winter when there's no market to be had. And, the ability to remember to bring it with you. The best-stocked kit in the world won't help you if it's in your hall closet as you head to the grocery. Like all habits, this one can take a while to build, but it does eventually stick. Now I'd no more leave the house for a grocery run without my produce bags than I would leave without my wallet. If you have a car, keeping a small box in your trunk with clean containers and produce bags might be the trick you need; if you tend to walk or take public transportation to the grocery, you could hang your tote bags on your door handle to remind you, or put up a temporary sign like this. What you choose to stock your kit with, of course, depends on what you can find in bulk near you. (You can use this guide to help you find local options). If you are lucky to have a place to buy liquid bulk items like olive oil and white wine vinegar, you'll want to prioritize a few bottles that seal tightly. If you only have dry bulks goods available, maybe glass jars or plastic containers and a stack of produce bags will be all you need. Over time you can add to and take away items as you figure out what you use most during a normal month. If you have extra produce bags, they make great holders for knitting supplies, travel toiletries, snacks on the go, really anything. And if you have extra glass jars, well, those are darn useful elsewhere too. What does your grocery kit look like these days? Favorite things to keep on hand? I've written before about how to stay zero waste when flying; you can read that original post here. But, it's one thing to plan to stay zero waste on a quick two-hour flight, and another thing entirely to prepare for a four, five, six, seven, eight, eight plus (yikes) hour flight. With that in mind, I wanted to share what I brought while flying to and from California a few weeks back, about a four-and-a-half hour flight (so not the longest flight ever, but not the shortest, either). -Two water bottles. TWO, people. If not three. If you require more water once you're on the plane, it'll be poured from a single-use plastic water bottle. If you bring bottles of your own, you can fill them up after security from the water fountains in the airport and skirt the offered beverages on the plane entirely. 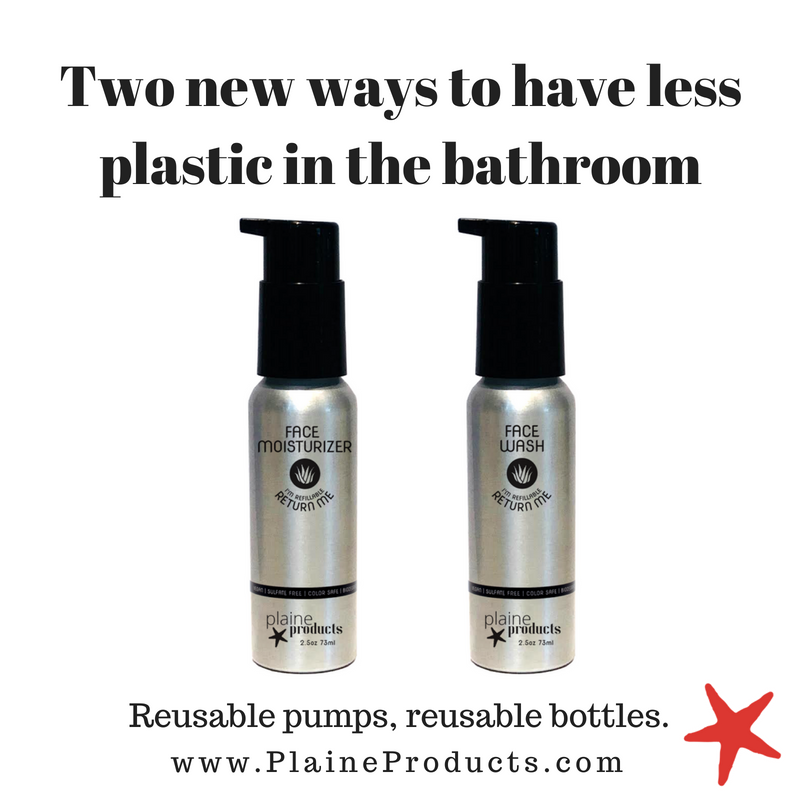 Two bottles typically works for me, though on my flight home from Ireland last year I succumbed to asking the flight attendant for a refill after I finished my second one. Though I usually drink from a metal or glass water bottle at home, plastic Nalgene bottles are my travel choice because they're so much lighter when I'm carrying multiples. If you don't own plastic bottles of your own anymore, you could borrow them from a friend or simply swipe empty Gatorade bottles from the recycling bin at work. Trial and error will likely teach you the number of bottles that works best for you. On the flight to California, my boyfriend only brought one; though I very annoyingly cautioned "You might regret it!" (I am sometimes quite the zero waste know-it-all), he didn't end up needing more. So maybe I'm more of a water guzzler than most. Another note, beverage-wise: if you're a coffee drinker relying on getting one at the airport, you'll of course want a reusable thermos with you, as well. I like both the Klean Kanteen and the KeepCup. -Snacks and meals. Airplane food is universally fairly gross, so this is an area with multiple fringe benefits: you can reduce your waste while eating things that are overall more tasty and healthy. A flight attendant friend of mine recently confirmed that, no, if you refuse the provided airplane meal, it won't be reused on down the line and instead will become waste anyway. I'm curious if any reader has ever called ahead to say "no" to a meal in advance - but I doubt it would make a difference. Knowing this, you could just opt to eat the food instead of letting it go to waste; I don't like the way it tastes, though, and opening all those tiny plastic-wrapped packets now kills my soul, so I prefer to bring my own when I can. Packets of pretzels and soft drinks are, of course, used on down the line if they're refused, since they're not perishable. (Although anyone who has ever eaten dinner on an airplane can attest that those don't exactly seem perishable either). Regardless, I like to bring my own food, bought in bulk or prepared at home in advance. Things I've eaten on planes recently: homemade sandwiches, bagels bought package-free, apples, citrus fruits, trail mix, pistachios, stir fry over rice in a stainless steel container, a croissant, a big kale salad with grains and beans, chocolate, homemade granola bars. If your flight is quite long, you'll want to prep multiple meals, which can be a pain, especially when you're rushing around doing everything else that's required to get ready for a longer trip. I got a bit lazy before my flight to Ireland last year, and let me tell you: eating peanut butter-and-apple sandwiches for three meals in a row was not an enjoyable experience, even with the addition of chocolate chips to one of them. If, as I like to contend, zero waste is largely a matter of planning ahead, next time I'll improve matters by jotting down some meal ideas in advance and then prepping them the day before, not the day of. A sample menu for an overnight flight could look like a stir-fry made ahead to eat for lunch at your gate, then a sandwich and roasted veggies for dinner on the plane, followed by a bagel with peanut butter and a piece of fruit for breakfast on the plane the following morning. Planning meals in descending order of the refrigeration needed is key. And supplementing these with copious amounts of snacks, of course, is another way to quell the ennui of a long flight. A note: if you're leaving the country, customs can make food planning more difficult. If you'll be going through customs upon arrival, make sure you've eaten all your food during the flight, or disposed of it once off the flight. With this in mind, you'll probably want to bring things that don't need composting, since you won't be able to get apple cores and the like through customs. Another tricky scenario to be aware of is that some international airports abroad do U.S. customs before the flight leaves (this happened to me last year in Shannon, Ireland), so you won't be able to take any fruits, veggies, meat, dairy, etc. on the flight at all. If this happens, I recommend using a cloth produce bag to purchase a few pastries at a coffee shop post-customs (said coffee shop probably won't sell any fruits or veggies because it's post-customs) and then eating the airplane food itself. Things happen, c'est la vie. -A container for compost. I sometimes forego this, instead planning to put my compost in my empty food container once I've finished eating. This of course doesn't work if you don't eat your whole meal or snack at once, so I appreciated having this small reusable bag handy for apple cores, pistachio shells, and the like. A huge bonus was that we were flying to San Fransisco, whose airport has compost bins everywhere. Score. -A cloth napkin and an eating utensil. You probably already bring these most everywhere, and a flight is no exception. How else are you going to eat your lovingly prepared stir-fry? -A handkerchief. Indispensable whether in the air or on the ground. But especially on long flights, that dry air can do weird stuff to your sinuses. Don't get caught snatching your neighbor's drink napkin to blow your nose, or using your cloth napkin that you'd prefer to save for other purposes. If you don't already own a handkerchief, you could make your own pre-flight with this tutorial. Also imperative, though not pictured: warm clothes and maybe a scarf or blanket and a pillow of your own. Anything the flight attendant might hand to you, you could try to bring for yourself to avoid the inevitable plastic wrapping that accompanies it. Though I typically bring all of the above, I could share plenty of stories when my best-laid plans were rerouted along with the airplane and I ended up buying food in a compostable or recyclable container, accepting a beverage from the cart, etc. If this happens to you, you'll learn something, you'll try again next time. Over time the lessons stack up and I get better and better at zero waste traveling. If you have lessons of your own to share, I want to hear: what else do you bring for flights like these? Previously in Travel: A trip to Rainbow Grocery, and how to compost while traveling. A couple of days ago, a friend and I were chatting about compost (as you do), and how this weird perspective shift can happen: you can throw food in the trash for years or decades without thinking twice about it, but as soon as you start composting or start thinking about composting, putting food in the trash can start to feel so loaded. On the occasions over the last decade where composting wasn't available to me (most of college - yikes, a weeklong vacation to somewhere less progressive than Seattle, a trip away from Chicago to go to a wedding), throwing food scraps into the trash has always been accompanied by a persistent twinge of guilt, a small leaden feeling in my stomach. In college, I got so fed up with having to ditch my apple cores and banana peels in trash cans that I developed a tactic I called "guerrilla composting." This involved pitching apple cores as deep into the woods as my arm could throw - a method that, yes, I know isn't particularly helpful or ecologically sound, and one that I probably wouldn't turn to now. But still: it speaks to the fact that composting can sink its teeth into you and not let you go. So you better believe that I don't let a little thing like being away from home stop me if I can help it. A few weeks back, I shared how I approach composting when I'm traveling. Those techniques also apply to composting when I'm away from home but still in my city. Though I frequent restaurants and coffee shops that choose to compost their waste when I can, so often I find myself someplace that doesn't. Most days, therefore, when I leave my house, I bring a small empty container with me. It's often a Ball jar like the one above, but I also sometimes place compost scraps in an empty water bottle, my emptied lunch container, or a cotton produce bag. Some of my friends use a Stasher reusable ziploc bag, which has the benefit of folding flat and not being breakable. For those who don't carry a purse or tote, you could fold compostable scraps in the paper napkin that came with your meal and stick it in your pocket temporarily. Whatever the vessel, the approach is the same: to corral compostables picked up throughout the day. It might be a teabag, the crust of a sandwich, cherry pits, a clementine peel, a wooden toothpick, a paper napkin, an apple core. I tuck away anything that can be composted, and at the end of the day when I get home I empty the jar or bag into my compost bin, wash the jar out, and the next day I'm ready to start anew. I keep coming back to this: we can set up our homes to be fairly low waste, but we can't control what businesses and workplaces and events offer us when we're out and about. 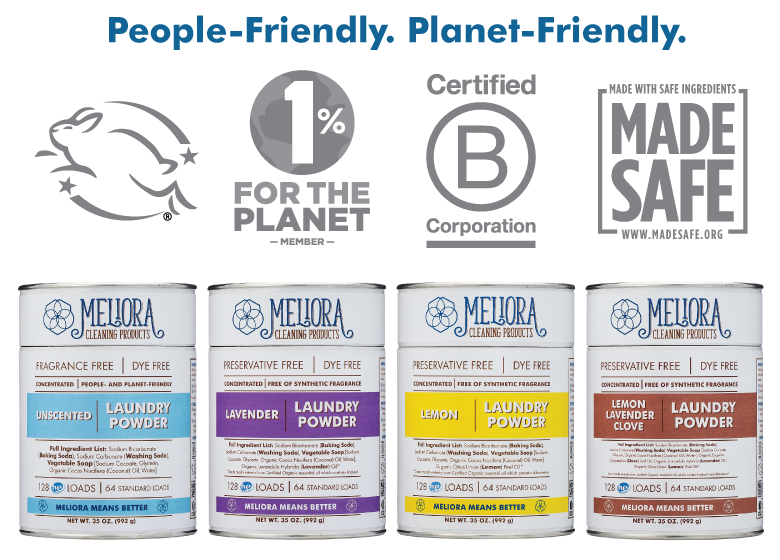 We can lend our support to businesses that choose less wasteful practices, of course, but to try to avoid disposables completely can be maddening. So, sometimes I just have to accept that my sandwich will have a toothpick in it and that I'll get a paper napkin when I'd rather use my cloth one. But by planning to tote my compost home with me, I know that the detritus of the day won't, at least, go in the trash. Are you part of team compost jar? What's your container of choice these days? On my walk home from work yesterday: clink, clink, clink went the stainless steel container holding my lunch remnants against the glass mason jar holding my compost scraps. With those in tow, plus my usual handkerchief, water bottle, and a cloth produce bag holding the onion bought on my post-work grocery run, I was pretty much toting a full zero waste kit home yesterday. Because I walk to work, I try to keep the amount of gear I bring to a minimum - although as the above story attests, I don't always succeed. Below, a peek into the types of things I bring each day or keep stowed at my desk so that I can keep my time at the office mostly zero waste. Though your workday might look different from mine (I work a pretty typical 9 to 5 in front of a computer), hopefully these are a helpful framework for thinking through workplace zero wasting regardless! -Bring your standard zero waste tools. A handkerchief. Eating utensils, if you'll need to bring your own. A small container for carrying home your compost, like the jar pictured above (I also sometimes use a Stasher bag or even just my empty lunch tin). It goes without saying, probably, but whatever you carry with you on a daily basis as part of your zero waste routine should probably come with you to work, too. -Stock loose leaf tea. My office, like many, has tea on hand for the taking. But individually-wrapped tea packages aren't recyclable, and I've found that keeping a tea strainer and a jar or two of loose leaf tea at my desk helps me avoid the need to grab a packaged tea bag. Plus, I can empty the tea leaves I've used each day into my compost jar to take them home to compost. If loose leaf tea is hard to come by near you, here are a few other ideas for making your tea habit zero waste. -Pack a zero waste lunch. Needs nothin' more than a reusable container and maybe a cloth bag to hold a piece of fruit. Though I can attest that packing a lunch isn't always simple (why does it always seem to happen for me at 10:30 at night? ), certainly keeping a packed lunch zero waste isn't so challenging. You can find a few more ideas on how to do it, right here. And, if your office serves lunch occasionally (lunch and learns! hot lunch! etc. ), don't forget your entry ticket to the Bring Your Plate Club. -Cut out paper towels. If your office uses paper towels instead of hand dryers in the bathroom, consider carrying a clean handkerchief in your pocket that you can use to dry your hands and open the bathroom door. I'm very much a "shake my hands dry and open the door with the hem of my shirt" kind of girl myself, but the handkerchief method sounds much more dignified. -Automate it. Can you keep an extra thermos at work for unexpected coffee dates? An extra empty jar in your desk for compost, snacks, a grocery run, or whatever else comes up? A water bottle at work, if you don't have access to a reusable cup? Anything you don't need to remember to bring each day anew is a thing you stand a better chance of actually using on a daily basis. Plus, that means fewer things to carry each day, thank goodness. What do you do that I missed, above? Other challenges specific to your office we should tackle? Share, please! PS. More ideas on planning ahead to stay zero waste, here. This is the beauty of a roadtrip: you can throw as much stuff as you think you'll need in the trunk of the car and get going. No need to carefully pare your zero waste traveling kit down to the bare essentials, like you might if you were hopping on an airplane. -A few thermoses to house our ever-changing collection of iced tea / water / iced coffee / sparkling water. (Klean Kanteens stay cold for a stunning amount of time, and hot in the winter for just as long). -Cloth bags full of simple road trip snacks like fruit and dark-chocolate-covered raisins. Homemade popcorn, sandwiches, and toasted nuts are all good options, too. -A big reusable bag, a useful choice for groceries, for picnics, for the pool, for carrying home the overflow of things that just don't quite fit in your suitcase on the way back. (Ours is a Baggu, which we love). -A metal container, for holding snacks and restaurant leftovers and cut-up fruit for the fridge, and for taking home some compost at the end of the weekend. (This one is a favorite of ours). And, what you don't see here: sunscreen in a recyclable tube and handkerchiefs! (Summer allergies, man). I also meant to bring a tea strainer and a jar of loose leaf tea to make tea, but I forgot to this time around. If you want to really want to make sure you're prepared, you could also bring a bar of soap or a little jar of castile soap to serve you everywhere from the bathroom to the kitchen. You could bring your favorite zero waste coffee set-up, be that a French press or a pour-over with a reusable filter. You could bring a big container (or even a bucket!) for carrying home any compost - mine was too small to really make a dent this time, unfortunately. You could bring a bandanna, to alternately use as a sunshield / napkin / handkerchief (with a wash in between, naturally). And if you want even more ideas for what might be useful to bring, you can check out the wonderful comments section on this post. I think vacation isn't the time to worry about being perfectly zero waste: I think it's a time to try to be generally zero waste, and to relax about the rest. But if you're loading up the car for a trip anyway, why not tuck in a few of the above items? Almost all of them are multipurpose, and I find I always use them each in a few different ways. What else would you add to the list? Tomorrow, I'll be back here with a post on composting during vacation, something that I almost always find to be tricky. Happy summer vacationing, friends! It seems counterintuitive to try to plan ahead for an unexpected situation: you don't expect the situation! That's literally the whole point! But, surprise situations arise all the time, and thinking they won't happen that day has always led me to zero waste slip-ups. A quick walk turns into a longer one, you happen to be near a farmers' market and decide to drop by, you get hungrier than you thought or your transportation gets delayed or your first-choice restaurant is closed and you have to wander down the block to someplace else. Insulated water bottle. A water bottle is a clear winner here - but if you choose to bring an insulated one instead of a regular bottle, it can also serve for coffee and tea, too. I like to use a Klean Kanteen (I have this one), but there are tons of options out there. (You can find more ideas of simple, cheap options for grabbing coffee and tea on the go, here). Tiny utensil. A small, lightweight one like this or this takes up so little room and can give you the freedom to eat when and wherever you'd like, no worrying about plastic utensils needed. Or, you can offer it up to a friend who's without one that day. Cloth napkin. Such a versatile thing! I usually fold mine up around my utensil in it to keep said utensil clean - a few friends roll their napkin around several utensils and secure the bundle with a rubber band. From there, you can find so many ways to use the set. This weekend, I tied my napkin in a bundle to hold apples from the farmers' market. Here's a primer on tying fabric squares, like napkins, into versatile, useful shapes, furoshiki-style. Small container. This could be a jar, a little glass or metal container, or even a cloth produce bag or Stasher bag. Any of these can be useful for holding compost generated throughout the day (apple cores, tea bags, etc. ), but I'm partial to carrying one of the first two options, which can also hold restaurant leftovers if needed. I mix and match the above depending on what I think I'm most likely to need that day (also: what I can fit in my current purse of choice). Each item on the list is hardworking and versatile, meaning I'm typically covered no matter the situation if I have a few of those on hand. In a pinch, I've used a clean handkerchief (full disclosure: also a not-so-clean one) as a napkin, my water bottle to hold a banana peel to compost later, and a mason jar intended for leftovers as an impromptu water glass. A few other things you could consider keeping on hand: a piece of fruit or a little bag of bulk snacks, to ward off any thoughts of vending machines or other packaged snacks. A metal straw, if you're fond of using one when out and about. Your list of daily go-tos might look different, and if so, I'd love to hear: what do you find most helpful to carry with you? PS. A few more posts on planning ahead, this time for more specific errands: a grocery run, a coffee shop stop, and going out to eat.